Now there is this amazing looking Anna Love Warms A Frozen Heart Figurine. 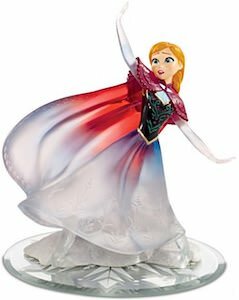 The figurine of Anna from frozen is standing on a glass base and she looks partly frozen as she is all white whit the exception of her main body and it shows that her love is warming her up and bringing the color back into her body. The figurine of Anna is 7 1/2 inches tall and just looks stunning with real Swarovski crystals. If you like Disney princesses and speical looking figures then you are going to love this figurine of Anna as it will look great in your home on a special shelve. Now Disney fans young or old can enjoy this Frozen Elsa Handbag. This light blue purse is like the color of ice and on the front, it shows a picture of Elsa herself surrounded by ice crystals. 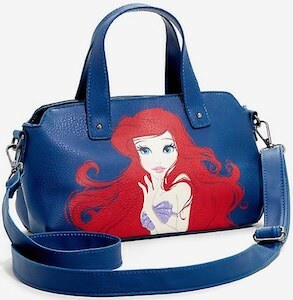 The handbag comes with a removable strap so that you can wear it on your body where ever you go. The bag has 3 compartments with zipper closure and one slot on the front where you can put some small things you need easy access too. 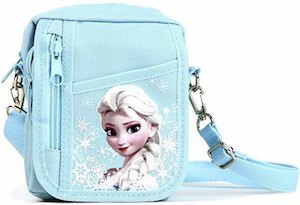 I am sure that this would be the perfect first purse for your child but if you like Frozen yourself then this could work for you to especially as the strap is adjustable in size. Come see this Sofia The First Best Princess In Class Lunch Box. 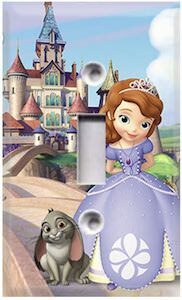 If your child really like Sofia The First and wants a nice box for their school lunch then this Sofia The First lunch box is just what you need. 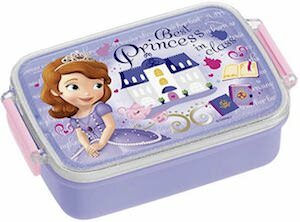 The lunch box is purple with clasps on each side and the on the top you can find an image of Sofia The First and her castle and it also says “Best Princess In Class” and that makes it perfect for school. So this could be a nice surprise for your little princess and I am sure that the lunch will taste even better all thanks to this great looking box. Now you can have your own Princess Jasmine Plush. 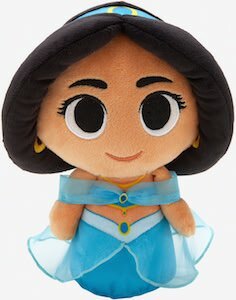 This is your opportunity to own a Disney princess and this Jasmine plush is so adorable everyone will want one. A cute princess like this is great for kids and adults and at 8 inches tall it is just one of those plush creatures that will stand out with all your other plush animals. Her famous blue outfit and some big eyes just make you want to keep staring at her. 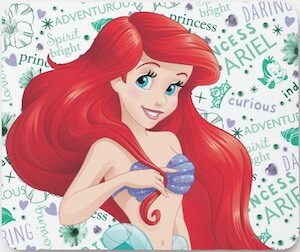 A plush like this will look great in any room and you may have to fight with your child who is owning this Disney princess. Now there is a Sofia The First Helmet for all the little girls that want to ride a bicycle. This princess bicycle helmet is made by Bell who is know for their amazing looking and super safe helmets. 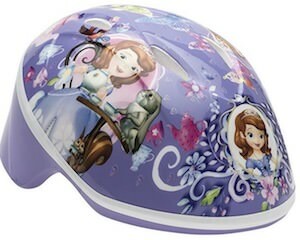 The helmet is purple with on it many images of Sofia the First and her world and it is just perfect for all kind of outdoor activities like riding scooters, bicycles and rollerblades. And this fun Disney princess helmet is made from ages 3 -5 and is self adjustable and has a strap too so that it will fit perfectly on your child’s head. The Classic story of Disney’s Beauty And The Beast will always be a classic along with the timeless treasures throughout like the Enchanted Rose. This Enchanted Rose is made to be very high quality with so many fine details to make it look and feel real. It stands 13 inches tall and has a poseable stem so you can recreate the rose in any position you like. The rose petals are made from hand painted latex and feature details like veins and wrinkles. Wrapped around the rose are low lit white / gold lights that bring this rose to life and come with a USB power chord. 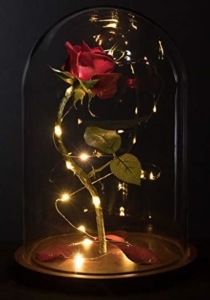 The Beauty And The Beast Enchanted Rose comes assembled inside of a glass dome, it will be the center conversation piece for sure so don’t wait and get this Enchanted Rose on display. a Beauty And The Beast a classic and timeless Disney story, along with the Scowl of the Beast. 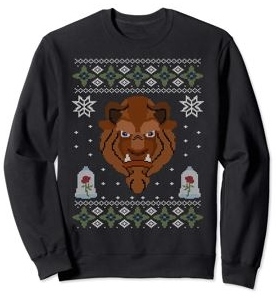 Now you can add in the holiday season of Christmas and have an ugly Christmas sweater with the Beast. On the front of this sweater you will see the head of the Beast from The Beauty and the Beast. The Beast has a mean scowl on but we know he loves Christmas as the rest of the sweater is designed with snowflakes, roses and Christmas patterns. Available in colors of black, Navy Blue, Royal Blue and Dark Heather this sweater is made to be super soft and comfy while also very durable to last a long time. It is also an officially licensed Disney Beauty and the Beast sweater so you know it is quality.